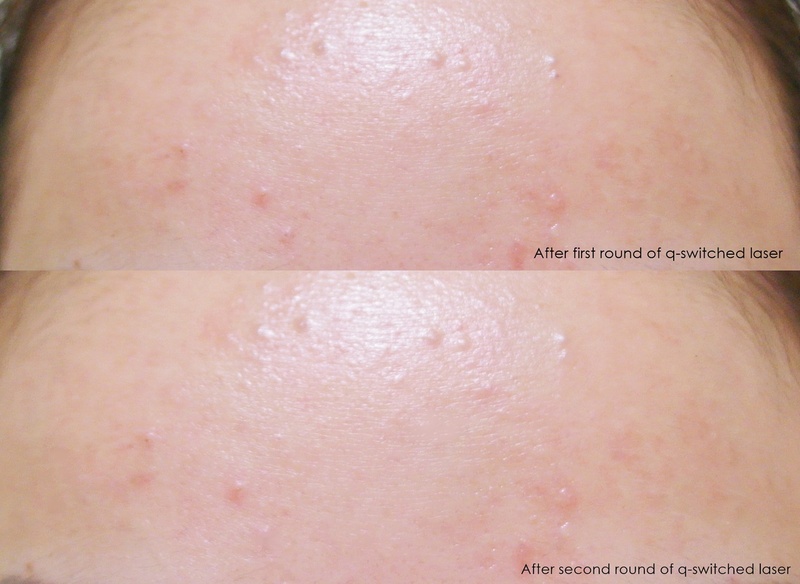 Petiteksf: Goodbye Acne, all thanks to The Clifford Clinic! Goodbye Acne, all thanks to The Clifford Clinic! One of the best decision I've made two months ago - (Switched my skincare sponsor again) After seeing so many different dermatologists for the past few years, I can tell you that The Clifford Clinic is the first clinic managed to solve 70% of my skin issues I've been facing and tolerating. I know that I've blogged for a various clinic on their treatments in the past and yes they worked well too! But after I met Dr. Gerard Ee, I'm very confident to say that he is the best so far! Why is it so? Pictures will do the talking later! It took me about 2 - 2.5 months for me to see the effect, this is why the review came a bit later! I'm really pleased with the results! The clinic seems to be a little busy when I first entered! So what went down on my first consultation with Dr Ee was, he suggested to do Hydrafacial before doing my first q-switched laser! I've heard a lot about Hydrafacial and so much raved about them by other beauty bloggers, I also realized that there's a lot exfoliation for this treatment which better explains my glowy skin after. Photos were taken before my first q-switched laser, I can't stop telling Dr. Ee the fact that my skin really glows after my first Hydrafacial!! MY GOD. It's worth the hype! 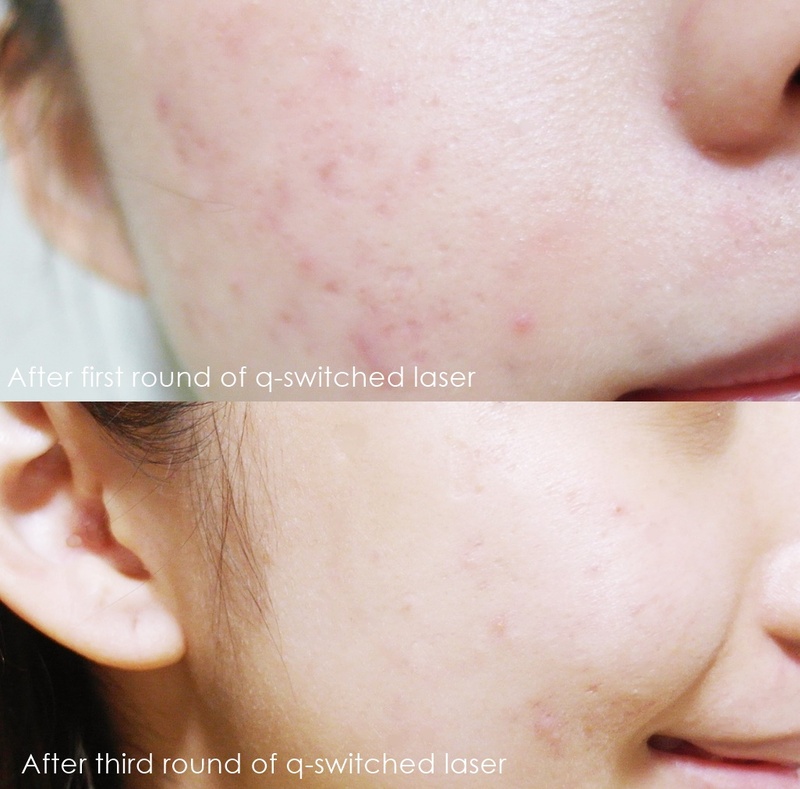 Week 1 (First round) after my first q-switched laser, performed by Dr. Gerard Ee. If you ask me about the pain tolerance, I'm gonna be honest with you as a first timer, it hurts but it was tolerable! It feels like a rubber band snapping on your skin but subsequently, you should be able to endure the pain. We all know anything for beauty right, hahaha! Anyway, I was told to see Dr. Gerard Ee every after 2 weeks from my laser! I am very certain you can see how much my left cheeks have tremendously improved! And it's only the 2nd session from the laser~ can't wait to show you my right cheeks which have a bigger improvement! Tadaaa, here's the updated version of my right cheek! PICTURES ARE 100% NON-EDITED. Never knew how much my skin is this bad right?! Lol, it was good for a period of time after my previous sponsor, only then my hormonal acne starts raging and boom.. here you go! My skin condition will never stay consistently and the oral medication itself wasn't strong enough to stop my hormonal acne permanently unless I go for a stronger pills like Accutane which I'm not prepared for the worse lol. Hence, Dr. Ee has prescribed a stronger skincare sets for me which managed to clear up my skin within 3 weeks time! 3 of them are aknicare range! Rate the pain level - I would say it really depends on individual pain tolerance, for me it would be a 6.5/10? How long is the treatment? It took me about 15-20mins! Any redness after the treatment? For me, yes. This is why I always request for a mask after that! Any peeling from the laser? Nope. However, I can feel my skin a little bit tight and dry after the laser! How many session to see the effect of the laser? Again, it depends on individual skin condition. For me, after 2 sessions I can see the great change. How much is the laser? Do call up their clinic and check with their latest price! 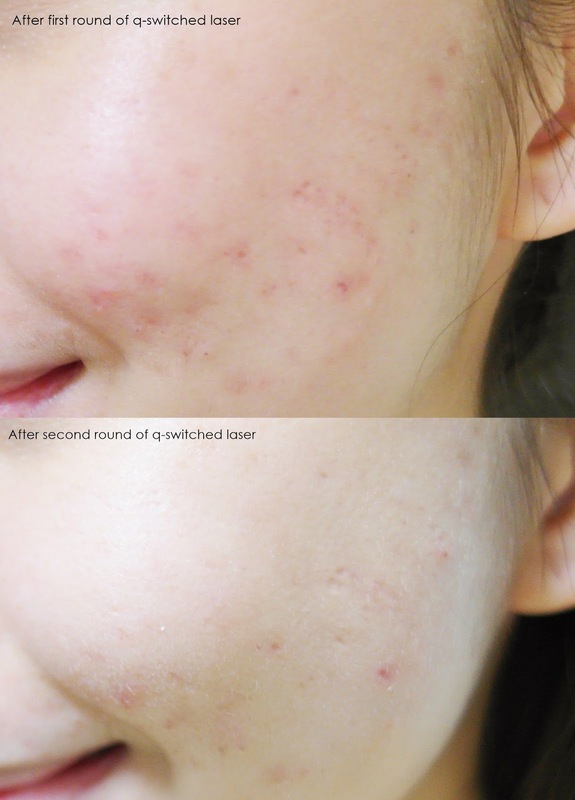 Alright so moving off from the laser, Dr. Gerard Ee has arranged Blue light treatment for me which helps to control my acne and I absolutely love the treatment! I love how they end off with a cooling hydrating mask! Of course, good skin demands lots of effort day and night. I was prescribed to a total of 6 products mainly targeted for Acne prone skin and I must say that these products I'm using day and night now were very drying to the skin! Apart from that, I was blown away by how much it clears up my acne within a short period of time. I can attest that these are best acne products I have ever tried in my life! Not to forget about getting compliments of my bare face now which is hard to come by lol. So that's about it! Don't forget to follow me on snapchat/instastory for a live video on the treatments I will be doing in the future! Pretty sure my skin is one step closer to a better and clearer skin! Can't wait!! So stay tuned for more updates!